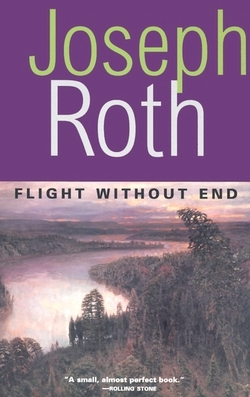 Jospeh Roth, one of the greats of Austrian literature, seemed like a wonderful choice, not only for the Literature and War Readalong in which we focus on WWI, but also as part of German Literature Month. 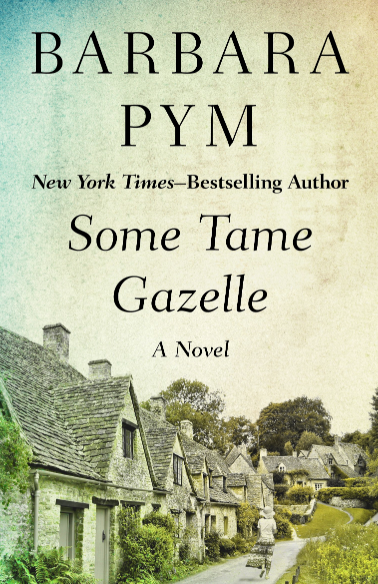 And because he’s such a fine author, there will not only be a readalong but the last week of GLM ( 24 – 30 November) is dedicated to his work. After some rather unfortunate readalong choices, I’m confident this one will not disappoint. 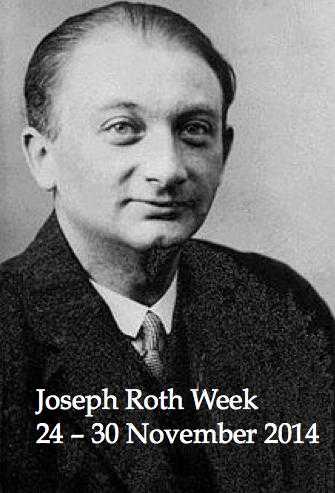 Joseph Roth was an Austrian-Jewish writer and journalist. He died at the age of forty-seven in Paris. His early death was probably brought on by his alcoholism. His last book, called The Legend of the Holy Drinker, is inspired by his own battle with alcohol. Some of his books deal with the end of the Austro-Hungarian Empire (The Radetzky March, The Emperor’s Tomb), others like Job focus on Judaism. Although he was Jewish, Catholicism was important for Roth and it’s assumed that he converted towards the end of his life. Franz Tunda, first lieutenant in the Austrian Army, became a Russian prisoner of war in August 1916. He was taken to a camp a few versts north-east of Irkutsk. He succeeded in escaping with the help of a Siberian Pole. On the remote, isolated and dreary farm of this Pole, the officer remained until spring 1919. The discussion starts on Friday, 28 November 2014. I just finished Hotel Savoy and the main character is now back in Europe after years in a Siberian POW camp. I’ve read that. I hope you liked it as much as I did. I’ll find out, I guess. I’ve been meaning to read him for ages and now I finally have my *excuse*! 🙂 I think I will start the book this week (and maybe even have it read by the end of the month…). It’s very short, I think it should be feasible. 🙂 Only Der Radetzky Marsch is a bit longer but even that isn’t over 300 pages. This seems like a very interesting book. I’ll have to search for a copy of it. Thanks for the opening lines/ brief description. Incidentally Caroline, the date for the starting of the discussion seems to be typed wrong. 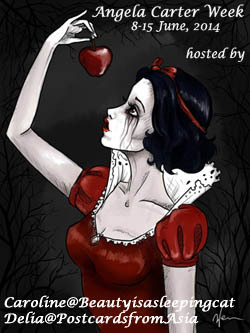 I hope you can join us, never. Would be lovely to discuss the book with you. Thanks for letting me know about the typo. Have not read him, so I look forward to the discussion. He’s an author you’d like but I’d suggest The Radetzky March to begin with. I want to read it but my library doesn’t have a copy. Oh well, I shall put it on my TBR list for later. I have a feeling I’ll be getting better acquainted with Roth. I just read The Legend of the Holy Drinker, which I’ll post about in week 3. I liked it a lot. If you liked that you’d love The Radetzky March and Hotel Savoy. They are stunning. I’m looking forward to your review. I have not read Roth but he looks to be an author well worth reading. I am not sure if I will be able to fit this in but I really look forward to everyone’s commentary on this book. Brian, I know this is an author for you and, as I said to others, you’d like The Radetzky March. One of the greatest European novels. Got ‘Flight Without End’ last month and have been resisting the temptation to read it till now. Can’t wait to get started. It is very slim and so I think I will start it closer to the readalong date. Happy reading! Will look forward to hearng your thoughts on it. I’m ready and eager for November’s readalong. I have the novel in my house and it gets top priority this month. I do not think, not for one second, that your choices were “unfortunate.” I thought they all were very good. Undertones of War I managed to borrow, but in late August, I was so overwhelmed with stuff I couldn’t get to it. Then I also borrowed the book for September, and as much as I was dying to read it, I couldn’t get to it. I think your choices have been very good ones, from my point of view. And I encourage you to continue to offer readalongs on any theme to challenge other bloggers and readers. I’m always interested in what you offer. This is so kind of you, Judith. I’m very happy to hear this. I think it was the last book that was the only really unfortunate choice, although I was disappointedn in Toby’s Room. I’m glad you’ll join the discussion of the Roth novel. I’m happy to hear you like the readalong as such. I’m looking forward to the discussion at the end of the month. I love Roth even though the quality is notoriously unreliable. My favourite story is when he sent the last chapter of Flight Without End to his publishers as the conclusion to The Emperor’s Tomb! Unfortunately I’ve now read all his fiction, but I may reread one this month. I’ve never had a disappointing experience so far. Hope this isn’t going to be the first. I hope you’ll join the discussion, whether you re-read it – or any other book. That’s a weird story. I guess he wasn’t entirely sober when he did that. I will be reading along with you on this book. That’s great new. I’m loking forward to discuss it with you. I’m looking forward to that review. I’m currentlx reading Das falsche Gewicht (Weights and Measures) and think it’s outstanding. I’m lagging behind in reading and commenting.